This week the BBC covered some of the technologies that have been developed and are being planned to cope with the floods that have plagued Thailand in the past year. You will have to go to the link provided to see the video as the BBC has made it impossible to embed it. Not all of the technologies described involve nanotechnology, but two of the most interesting do. 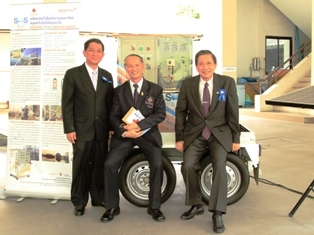 Both were developed by the National Nanotechnology Center in Thailand (Nanotec).